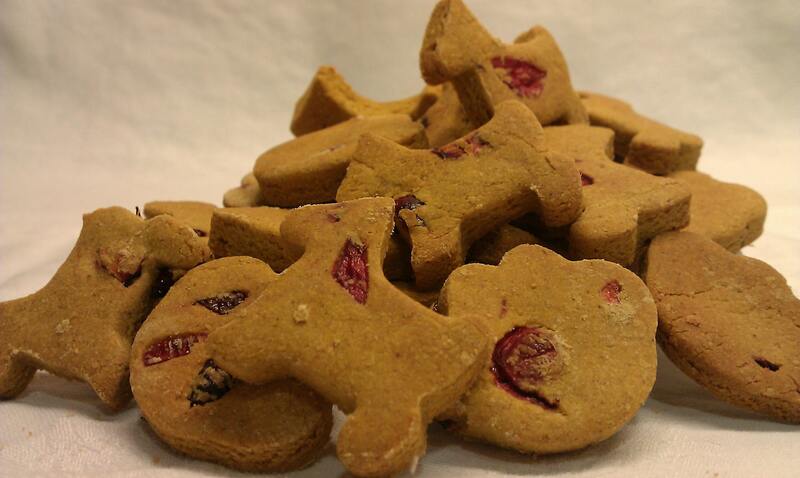 Adorable Pumpkin and Cranberry cookies hand cut in shapes of Puppies and Paws. Pumpkin is an excellent source of vitamins, promotes digestive health, and aids in keeping your Furry Friend’s coats shiny. Cranberries are packed with minerals and antioxidants. In addition, they are rich in vitamins including A, B1, B2, C, and many nutrients. *Net Wt. 6 Oz (170g). $6.50 + Shipping & Handling and any applicable taxes. Your best friend will love them from the moment you open the package and the aroma of all natural pumpkin, honey and cinnamon fills the air! You will love knowing that every cookie is packed full of flavor and nutrition! Pumpkin is an excellent source of vitamins, promotes digestive health and aids in keeping your Furry Friend’s coats shiny. Steak and Cheese make the perfect Snack! 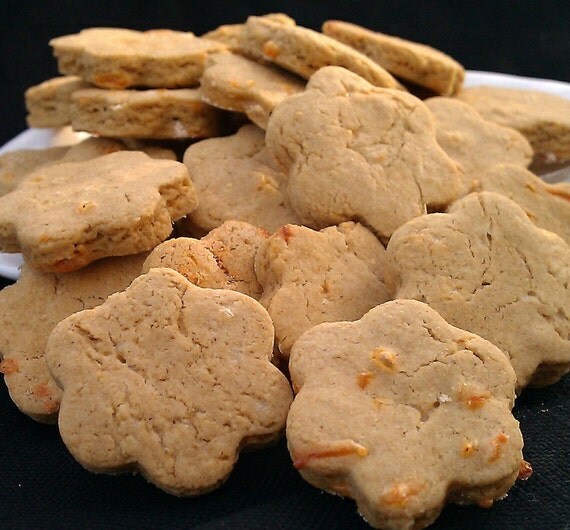 These delicious cookies are made with All Natural Cheddar Cheese and our Homemade Beef Broth. 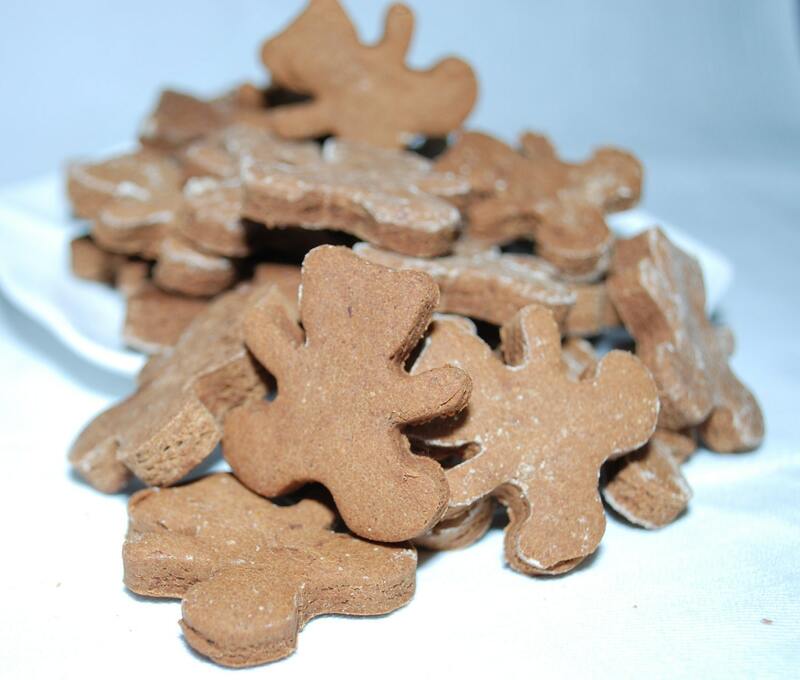 All Natural Peanut Butter is the main ingredient of these delicious treats. Peanut Butter is not only tasty, but it is rich in protein and vitamins essential for your dog’s health. 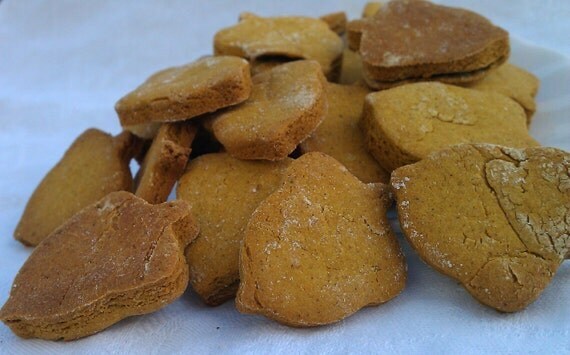 Sweet Heart Crunchers are so full of flavor, your pup will never know they are Vegan!! Sweet Potatoes are a good source of dietary fiber and contain vitamin B6, vitamin C, beta carotene, and manganese. These cookies are rich in Omega 3′s and smell fresh out of the ocean! Training your precious pooch has never been easier!! Your dog will love the taste of All Natural Cheddar Cheese, and Italian Herbs.